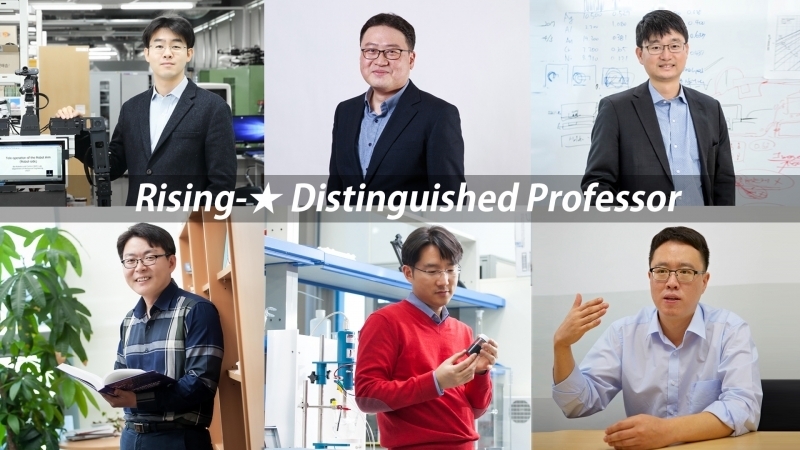 Clockwise from left to right are the newly-appointed 'Rising-star Distinguished Professors: Professor Joonbum Bae, Professor Jaesik Choi, Professor Jeong Min Baik, Professor Hyunhyub Ko, Professor Sang Hoon Joo, and Professor Jang Hyun Choi. UNIST is pleased to announce the selection of 6 extraordinary scholars to be induced as ‘Rising-star Distinguished Professor’, the highest honor the university can bestow upon faculty members who are under the age of 45. Honored this year are Professor Joonbum Bae (School of Mechanical, Aerospace and Nuclear Engineering), Professor Jaesik Choi (School of Electrical and Computer Engineering), Professor Jeong Min Baik (School of Materials Science and Engineering), Professor Hyunhyub Ko (School of Energy and Chemical Engineering), Professor Sang Hoon Joo (School of Energy and Chemical Engineering), and Professor Jang Hyun Choi (School of Life Sciences). The distinction of ‘Rising-star Distinguished Professor‘ is given to faculty members under the age of 45 whose work has made an outstanding contribution to their field or discipline and to UNIST. The title includes an honorarium for salary and research support. Professor Eunmi Choi in the School of Natural Science has been appointed the first Rising-star Distinguished Professor‘, which officially began in October, 2017. 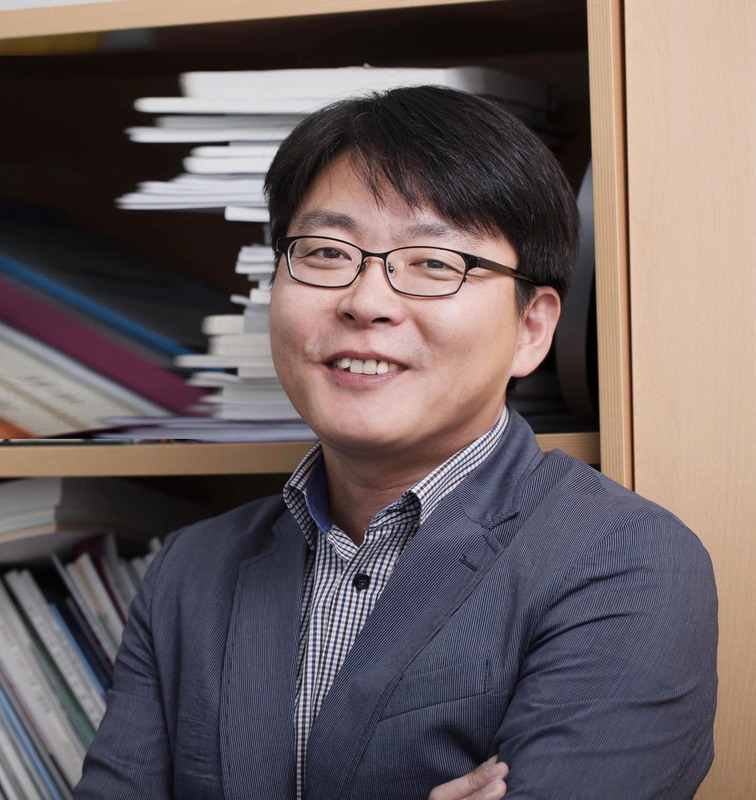 Professor Joonbum Bae in the School of Mechanical, Aerospace and Nuclear Engineering has been recognized for his outstanding research capabilities in the fields of ‘Physical Human-Robot Interaction Systems’ and ‘Bio-inspired Robots’. In particular, Professor Bae’s humanoid robot for disaster response, also known as the AVATAR (interActive and intuitiVe control interfAce for a Tele-operAted Robot) System was awarded the Minister of the Future Creation Science and Technology Ministry (now the Ministry of Science, Technology and Information) in the ‘1st Future Growth Drive Challenge Demo Day’. Professor Joonbum Bae’s humanoid robot for disaster response, also known as AVATAR. 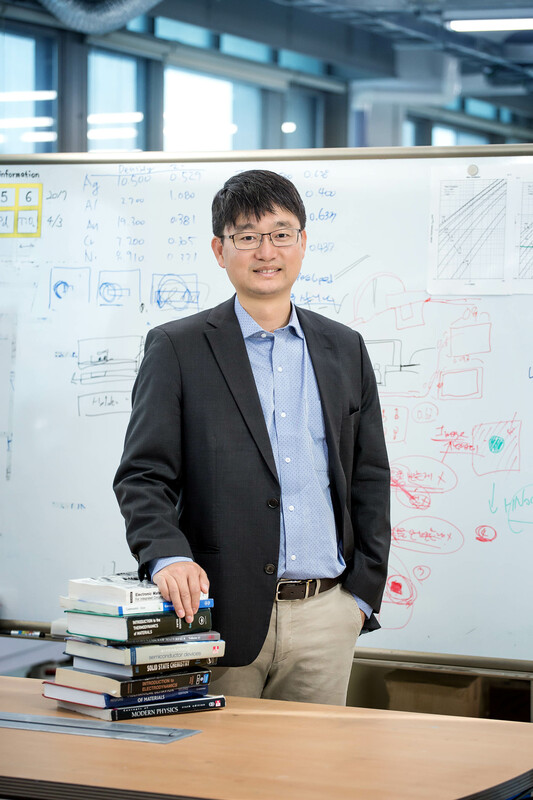 Professor Jaesik Choi, a leading expert in Artificial Intelligence (AI), has been recognized for his outstanding contributions to the field of time-series analysis and forecasting. 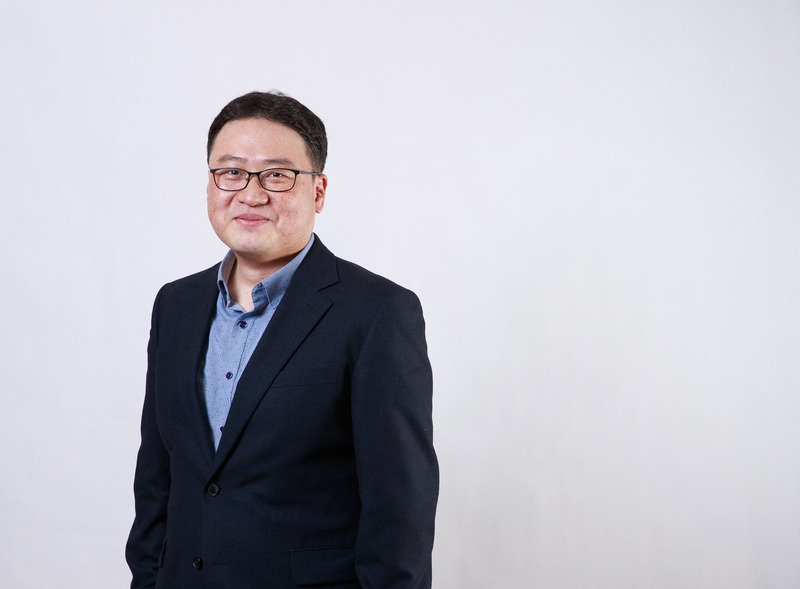 Professor Choi currently serves as director of the Explainable Artificial Intelligence Center (XAIC) at UNIST and carries out AI-related research projects, one of 9 national R&D projects chosen for the preparation of Fourth Industrial Revolution. 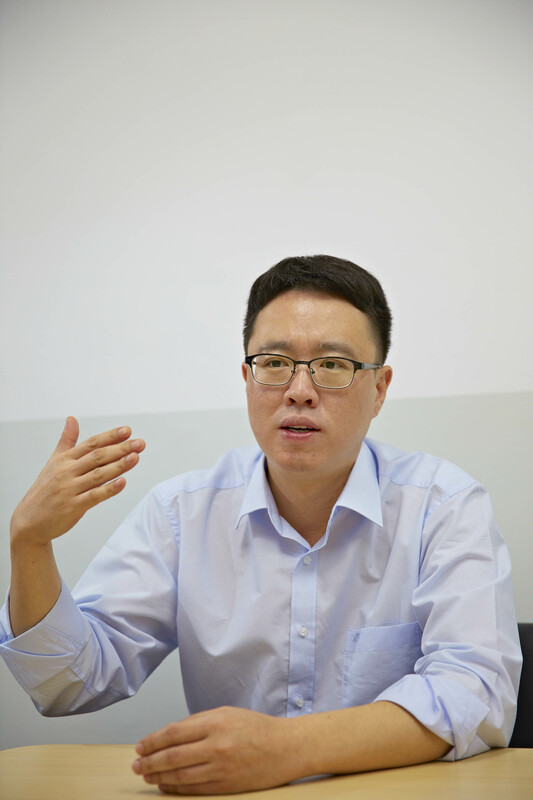 He recently receive the POSCO Smart Innovation Award in recognition of his outstanding contribution to build AI (Deep Learning) systems to improve the prediction accuracy of hot metal temperature and blast volume in a smart blast furnace. 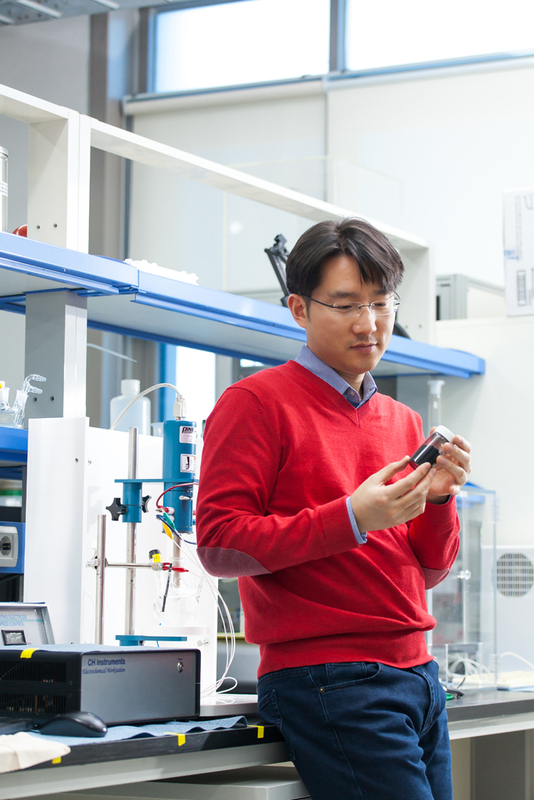 Other professors, named to the 2018 cohort of ‘Rising-star Distinguished Professor‘ received the honor in recognition of their exceptional contributions to their respective fields: Professor Jeong Min Baik for ‘Triboelectric Generator‘, Professor Hyunhyub Ko for ‘Transparent Electrodes, as Wearable Devices‘, Professor Sang Hoon Joo for ‘Fuel Cell Catalysts‘, and Professor Jang Hyun Choi for ‘Treatments for Obesity and Diabetes‘. ▲ Paper-thin stick-on speakers, developed by Professor Hyunhyub Ko at UNIST. “The dedication and accomplishments of our selected faculty members have contributed not only to the growth of UNIST, but also made outstanding contributions to the progress of science and technology,” says President Mooyoung Jung of UNIST. Meanwhile, UNIST has acknowledged 12 outstanding faculty members through conferring the honorific title of ‘Distinguished Professor‘, which includes Professor Rodney S. Ruoff (School of Natural Science), Professor Steve Granick (School of Natural Science), Professor Kyungjae Myung (School of Life Sciences), Professor Kwang Soo Kim (School of Natural Science), and Professor Sang Il Seok (School of Energy and Chemical Engineering).